TORONTO, ONTARIO – September 1, 2017 – Relish the freedom to explore almost any terrain – in comfort, style and luxury, with the 2018 Lexus GX 460. This authentic, body-on-frame SUV will go where uni-body models can’t – yet expresses civilized on-road manners. 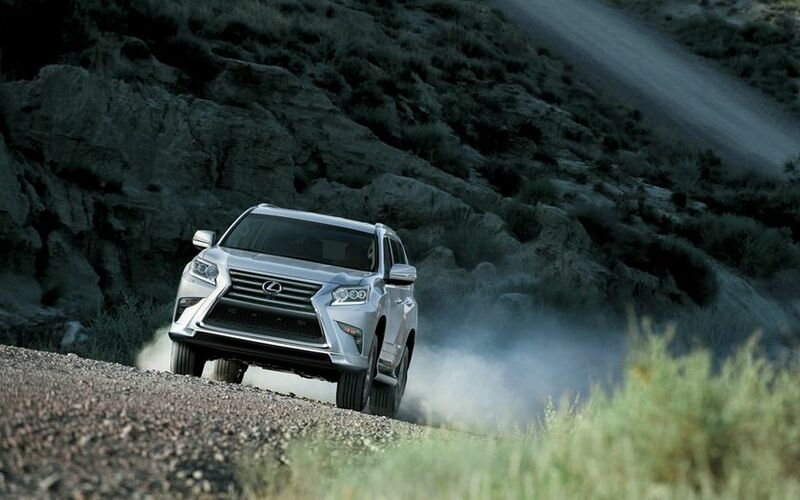 The GX 460 is styled to be rugged, powerful, and sporty. The signature Lexus spindle grille highlights a striking front fascia treatment to project the GX 460’s strength, while the Sport Design Package – part of the long list of standard features for 2018 – enhances the GX 460 with high gloss sliver front and rear spoilers, radiator grille lower garnish, stainless steel exhaust tip, uniquely styled LED rear combination lamps, and unique gunmetal-tone 18” alloy wheels. Other exterior features include a power moon roof, illuminated running boards, LED headlamps with washers, LED daytime running lights and fog lamps, and more. 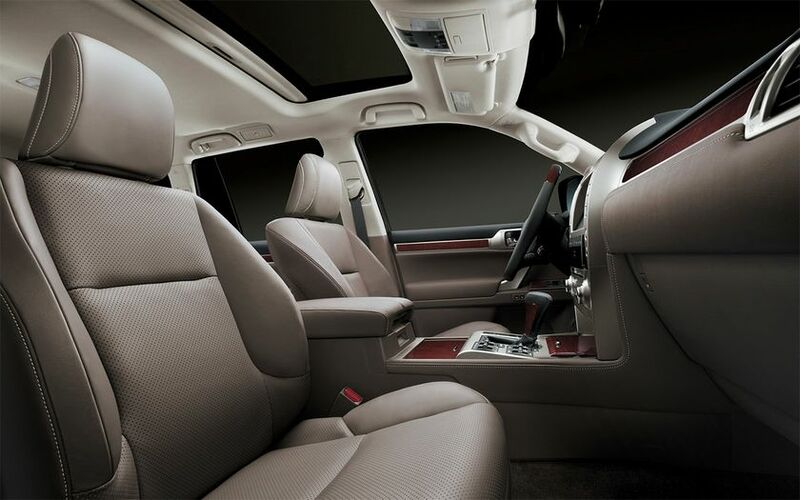 Inside, the GX presents an interior that is intentionally sturdy in design, and then polished to an elegant finish. The instrument panel expresses strength and prestige, appearing as though forged from a single block of steel, while serving as a counterpoint to the softness of leather seating and warmth of mahogany wood trim. The front seats are eight-way power adjustable, heated and ventilated, and feature a driver’s seat memory system linked to the exterior mirrors. Three-zone independent climate control lets driver, front passenger, and rear passengers define their own comfort zones. 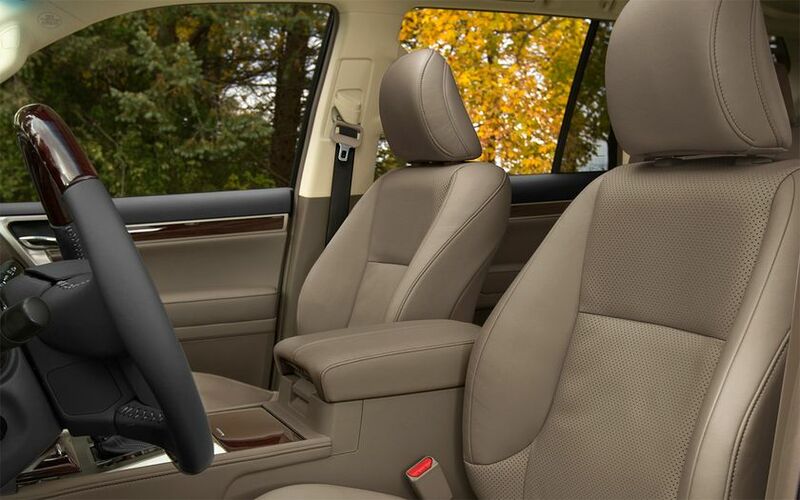 Power windows feature auto up/down and jam protection. The steering wheel is wood and leather wrapped, heated, and equipped with audio system controls. 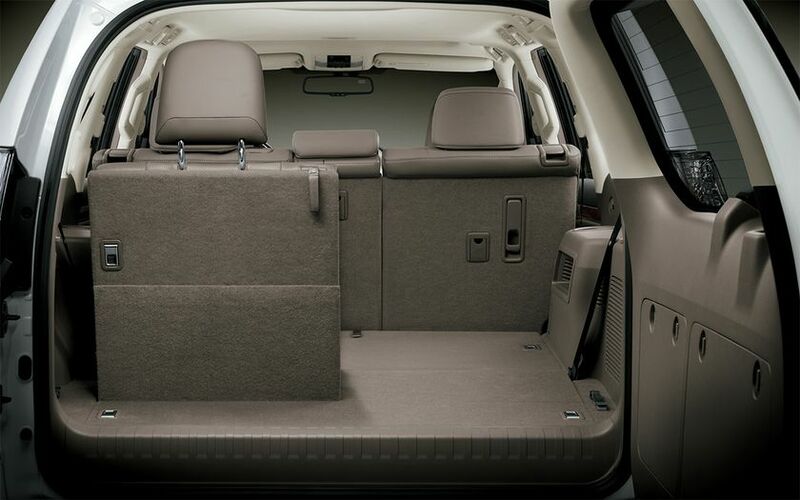 The GX is spacious and versatile, featuring 40/20/40 split folding second row seats and 50/50 flush with the floor third row seats, to accommodate up to seven people or 1.8 cubic meters (64.7 cubic feet) of cargo. Go-anywhere performance requires genuine off-road capability, so the 2018 Lexus GX 460 is built around body-on-frame engineering. The frame isolates the cabin, better absorbs bumps and vibrations, and enhances reliability over challenging terrain. 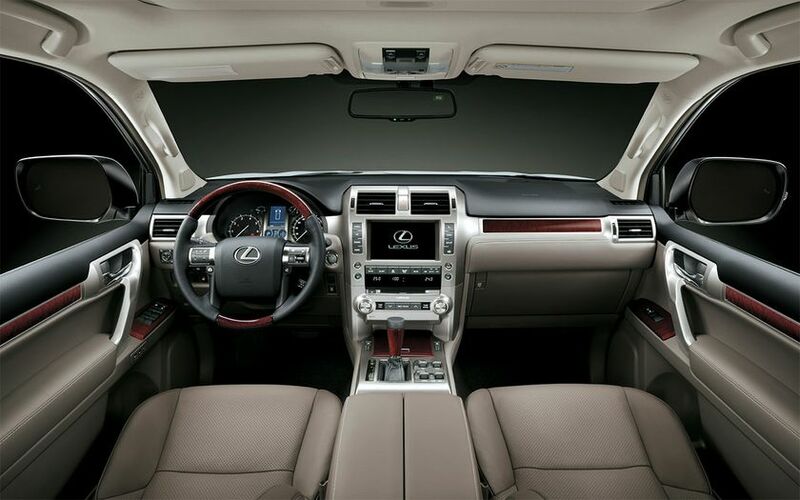 At the same time, Lexus engineers were careful to address traditional body-on-frame shortcomings to ensure that GX 460 owners also enjoy a smooth ride and an extraordinarily peaceful interior. Go-anywhere performance also requires power. 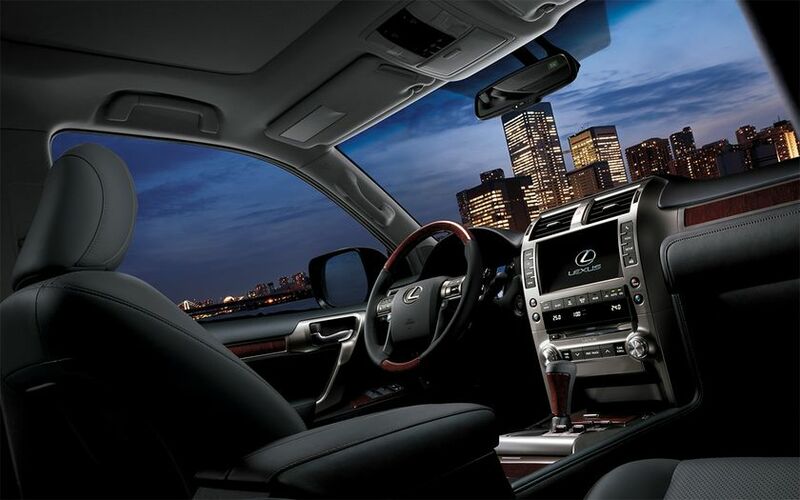 And wherever the journey leads, the GX 460 is the ideal travelling companion. The 302 peak horsepower 4.6L V8 delivers sophisticated and satisfying on-road performance, while its ability to generate up to 329 lb-ft of torque ensures the GX is more than capable when off the beaten path. Advanced features such as Dual Variable Valve Timing with intelligence, the Electronic Throttle Control System with intelligence, and the Cooled Exhaust Gas Recirculation System enhance power and performance while boosting fuel efficiency. 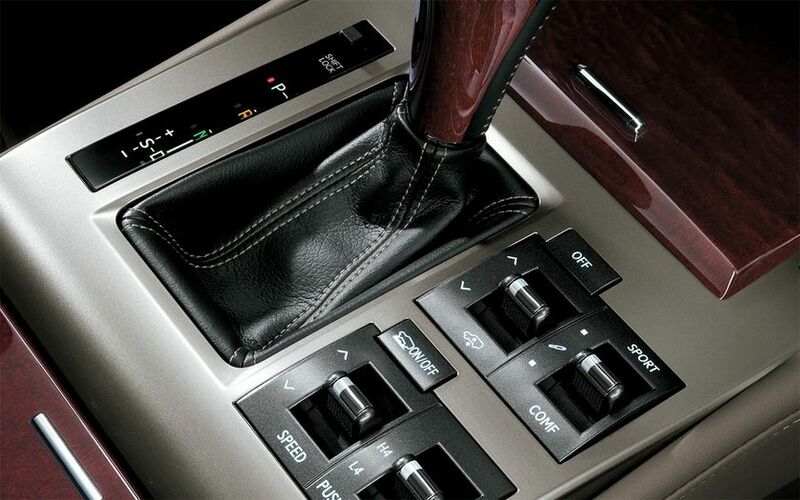 The engine is coupled to a six-speed automatic super electronically controlled transmission with gate-type shifter. And the GX 460 delivers superior traction – on road and off road – thanks to a full-time four-wheel-drive system enhanced with Active Traction Control, plus the Kinetic Dynamic Suspension System. 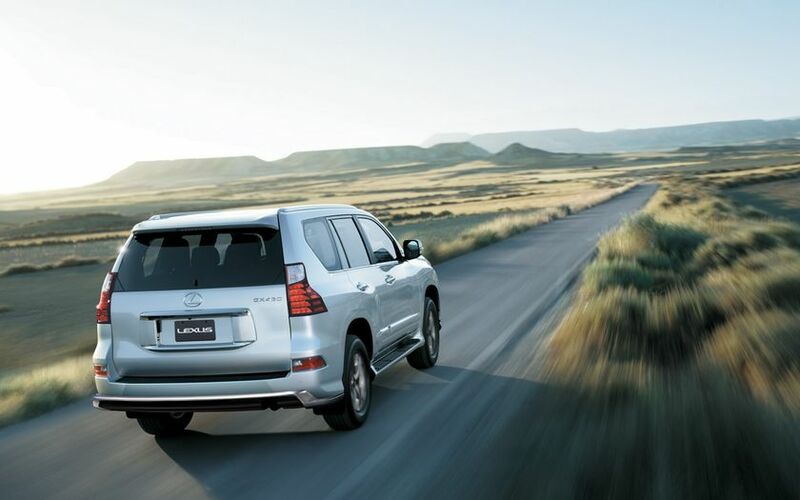 The GX 460 enjoys ample low-end torque and can tow up to 2,948 kilograms (6,500 pounds). The load leveling rear air suspension adjusts automatically when hauling a trailer or carrying heavy cargo, and a 4+7 pin trailer wire harness and trailer sway control brake system are standard features. 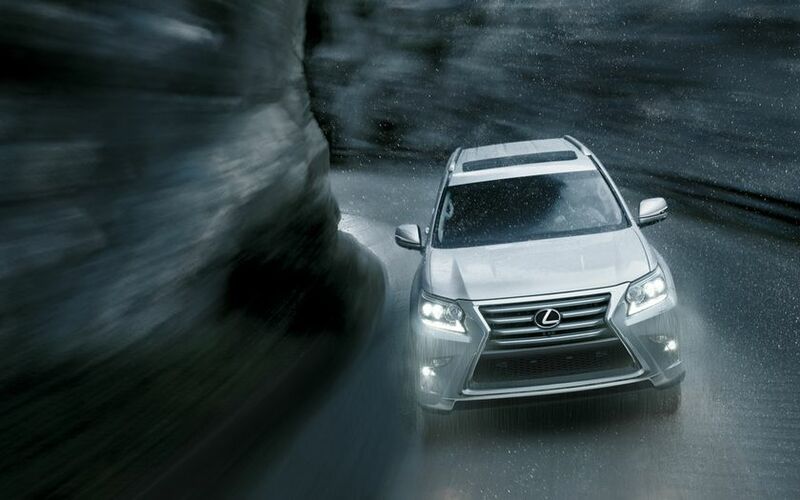 The GX also features impressive safety performance. All models feature the Blind Spot Monitor and Rear Cross Traffic Alert systems, clearance and backup sensors, a backup camera, 10 airbags, vehicle stability control, hill-start assist control, downhill assist control, ABS with brake assist and electronic brakeforce distribution, a tire pressure monitoring system, on-board first aid kit, anti-theft system, and more. 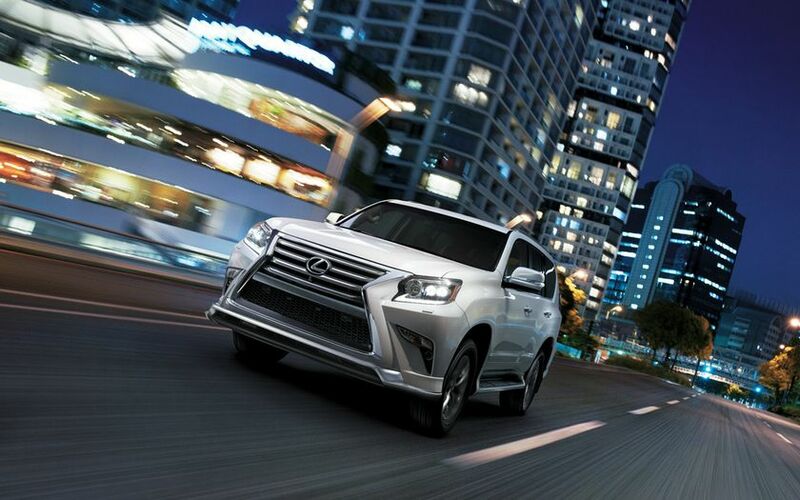 The 2018 Lexus GX 460 with Technology Package (Starting MSRP: $76,695) features unique six-spoke alloy wheels, the pre-collision system, the driver monitoring system, the lane departure alert system, dynamic radar cruise control, and a wideview front, rear and side monitor system. 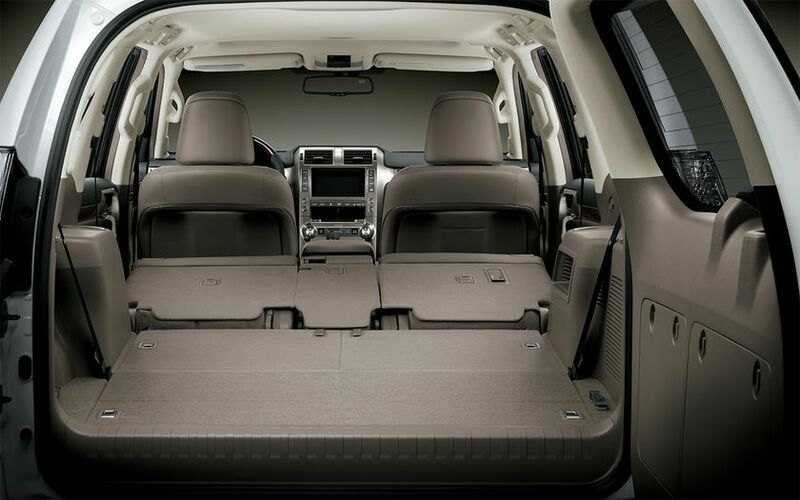 The 2018 Lexus GX 460 with Executive Package (Starting MSRP: $81,495) includes all the features in the Technology Package, with a unique alloy wheel design, plus a front console cool box, a rear seat entertainment system, four-wheel crawl control, the multi-terrain select system, a transmission cooler, and fuel tank protector plates. The 2018 Lexus GX series is now on sale at Lexus Dealers across Canada. For complete and up to date details and specifications, visit www.lexus.ca/gx.